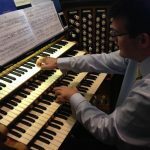 Paul Carr is a freelance organist and recitalist, choral director, accompanist and teacher. 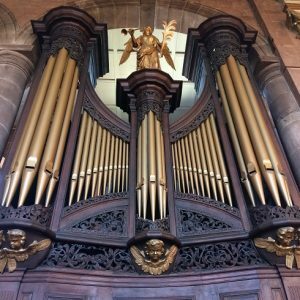 Studied organ with Dr Roy Massey MBE at Hereford Cathedral and Professor David Saint at Birmingham Conservatoire. 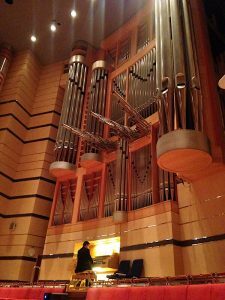 Awarded Honorary Membership of Birmingham Conservatoire in June 2015. 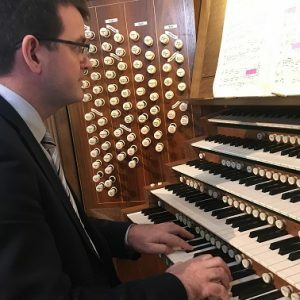 Liturgical Organist, Choral Director: passionate about the role of music in service to the liturgy, Paul has extensive experience playing and directing for church services far and wide, for over 25 years. 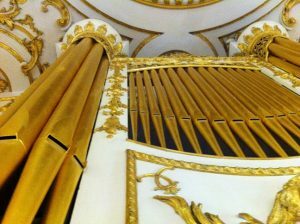 Performed often in Germany, including three Angeluskonzerte at the Lambertikirche in Münster, twice in the Orgelpunkt series in Magdeburg Cathedral. 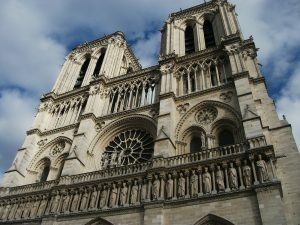 Twice performed in Notre-Dame Cathedral, Paris (2008, 2017). Performed in the United States at Washington National Cathedral and five times in Birmingham’s sister city of Chicago. 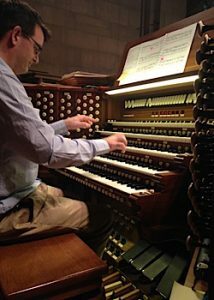 Played in the series of dedication concerts inaugurating the new organ at Fourth Presbyterian Church on Michigan Avenue, Chicago in April 2016. Built by Quimby Pipe Organs, the organ is the largest in Chicago and the Midwest. Collaborations with: The Birmingham Bach Choir (Director Paul Spicer), The City of Birmingham Choir (Director Adrian Lucas) including a CD of Christmas music, The Henry Ley Singers (Director Richard Dawson) recording a CD of choral music by Clive Russell in Keble College Chapel Oxford, Gig Caritas (Conductor Keith Horsfall) including Poulenc’s Organ Concerto with Stourbridge Chamber Orchestra. Paul has toured with choirs to Poland, Germany, the Czech Republic and the USA. 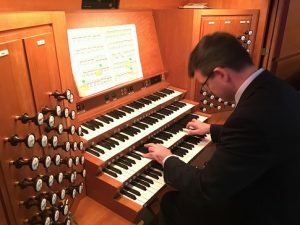 In April 2015 he was organist for The City of Birmingham Choir’s concert tour to Paris which included accompanying at Notre-Dame Cathedral and solo performances at La Madeleine and St-Germain-des-Prés. In April 2017 he accompanied the choir’s tour to Vienna, including a performance of Handel’s Messiah in the Stephansdom with the Wiener Domorchester. 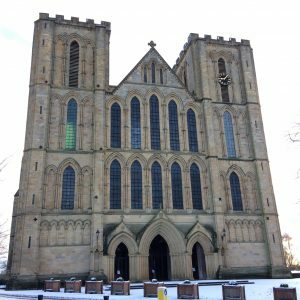 18 years in primary education, class-teaching throughout this time and leading as music coordinator in a large junior school, whose choir and string orchestra enjoyed popularity performing in local venues outside school. 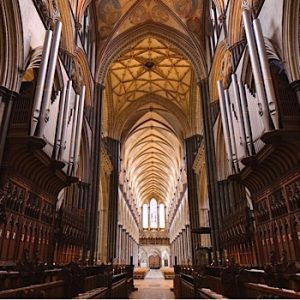 Projects with schools include a Young Voices Festival as part of the RSCM’s educational outreach programme Voice for Life, and a Meet-the-Organ Day for primary schools. Paul directed the specially-formed Black Country Music Education Hubs Choir in preparation for their appearance as part of the BBC Proms Youth Choir at the 2017 First Night of the Proms, performing John Adams’ ‘Harmonium’ with the BBC Symphony Chorus and BBC Symphony Orchestra.